Yes! The day has come! After a long time deciding if, I finally said when. Thank you SO much for your encouragement, show suggestions and help getting Art Made Easy off the ground. Many of you were so pumped about this show but confessed that you had no idea what a podcast was. I love you guys for your unbridled enthusiasm. A podcast is a free radio show. The host (me!) interviews guests or talks about a favorite subject. You get to listen through your computer, laptop or smart phone. I like to listen to my favorite podcasts in my car during long travel days or on my walks via set of ear buds and my iPhone. You can subscribe to the show via iTunes and Stitcher radio. The benefit is that your free podcast ap on your iPhone will automatically be updated with all the podcast episodes from any show you subscribe to. To listen on your laptop or computer, just click the play button in the colored box below. To listen via iTunes, click on the "play in iTunes" banner and click subscribe. 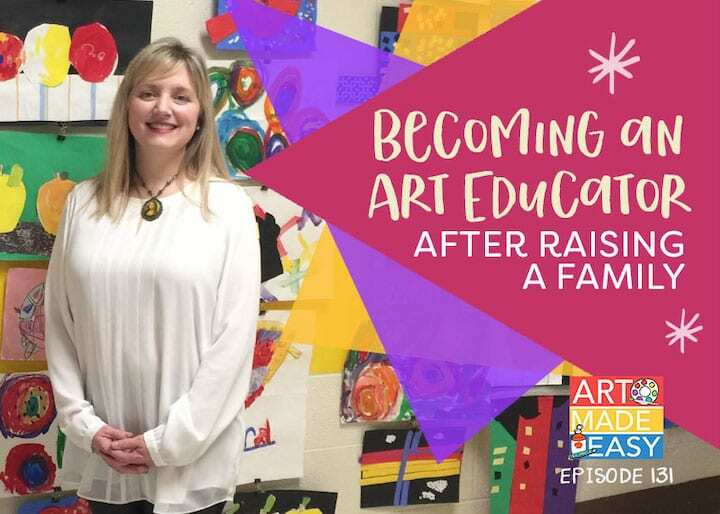 For my first show, I wanted to tell you my story of how I became an art teacher. We all have different paths and this one is mine. 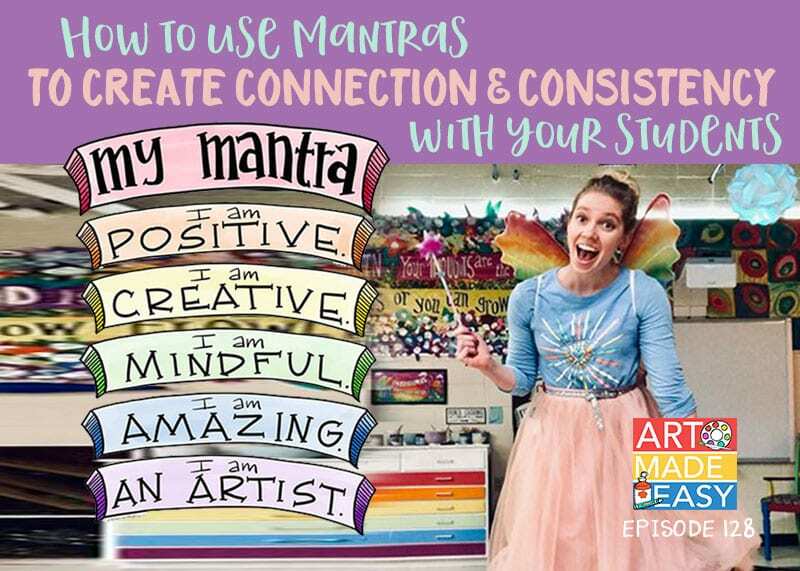 I'll share advice to those who are just starting out as an art teacher and some of my best tips for teaching art to kids. 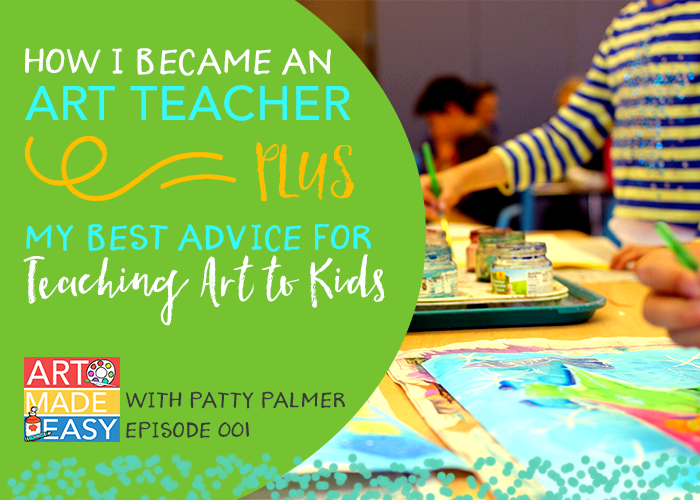 This episode is for anyone who thinks they may not have the qualifications to be an art teacher. 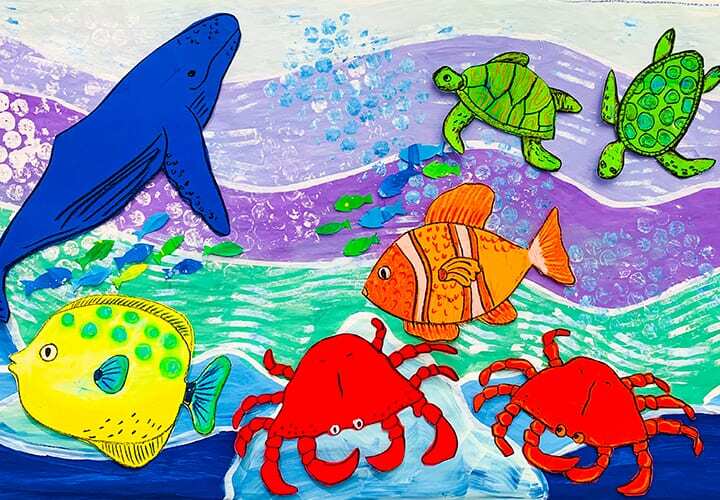 Teaching art to kids doesn't have to happen inside a classroom. 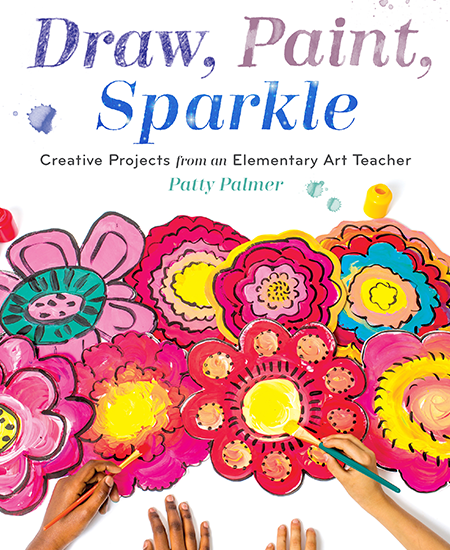 You can teach art at home, at a summer camp and even as a volunteer (like I did). 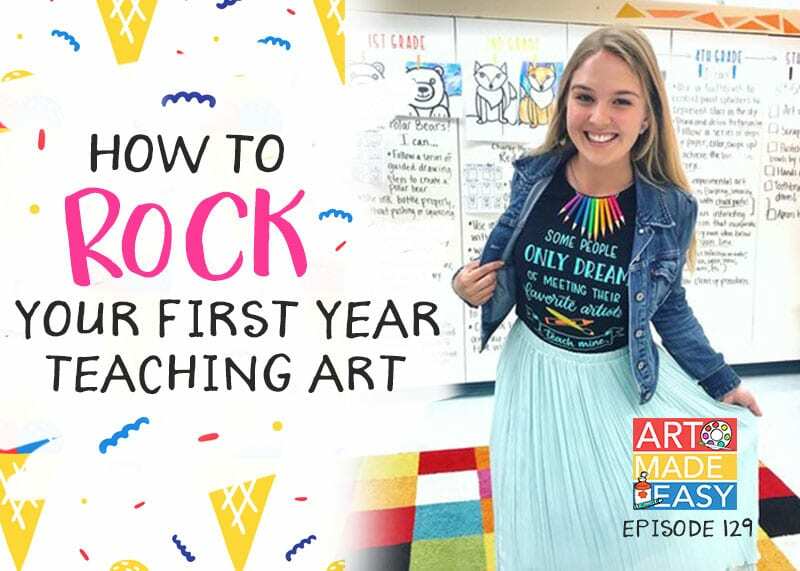 If you are an art teacher just beginning your journey, I'm sharing my best advice to get you through that tough first year. Download my free handout and keep it in your teacher planner and refer to it when you have a tough day. Art Made Easy is now live on iTunes! Subscribing to the show and leaving an honest review really helps the show gain visibility and allows me to tailor the show to your needs. It was a joy to meet you on Saturday. You are an amazing presenter and I learned so much from you. I look forward to listening to your podcasts. Thank you of all your knowledge. Just listened to your first podcast. My oh my, all you said you experienced … I am feeling it. So good know that I am not alone and that I am on the right path. Patty! I just listened to all 3 of your first podcasts and I really enjoyed them!! You did an amazing job!! You are definitely a ‘natural’ I’ve been listening to podcasts for years and I can’t tell you how much fun it was to listen to Art teachers tell their stories and share inspiration. I’m so thankful for all you do for Art educators. Can’t wait until the next podcast!! How frequent will you release them?? Thank you so much Patty! That means SO SO much!!! I’ll be releasing them weekly. Next up is Cassie Stephens. 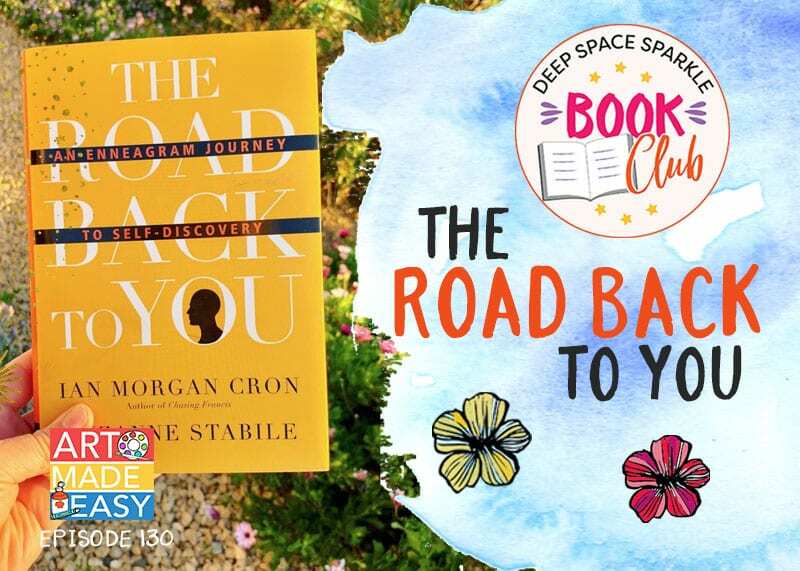 I’ll share her amazing tips next Thursday. Please share the word and subscribe! 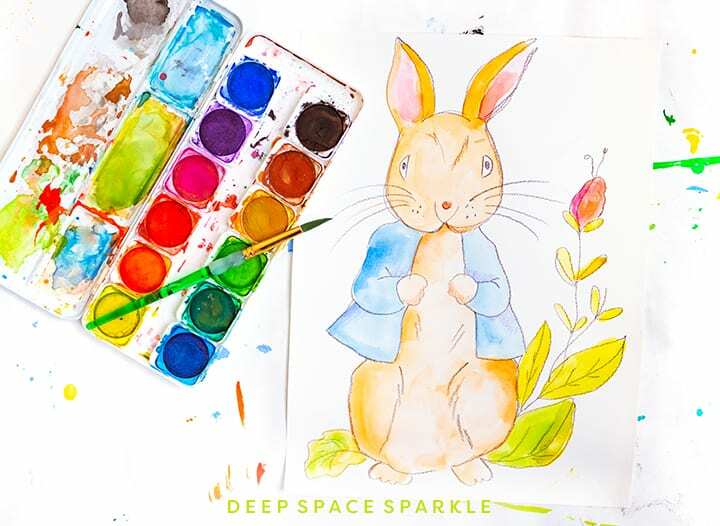 I found Deep Space Sparkle three years ago when my oldest daughter was 4! We had so much fun learning how to draw butterflies based on your ‘how to draw a butterfly’ tutorial. She drew one and I drew one, then we swapped and painted each others. I still have them hanging on our kitchen wall! I’d love to share a picture with you somehow. Since then, I suppose I’ve grown into what you’d call a home educator. I bought a palette of face paints from Snazaroo and started painting my daughters faces for fun. Then I started inviting boys and girls their age over to our house for crafts and more face painting practice 🙂 I called it ‘Art Camp’ and continued that for a year until we moved to Page, Arizona. In Page I advanced my face painting by offering it for free at kids birthday parties. That evolved into painting for the public library at events in the park and eventually I painted stage makeup for the local dance production of Alice in Wonderland! Sadly we moved again this last summer to Wyoming, but that has turned into another opportunity 🙂 The school district here only has one Art Teacher that the Elementary & Middle Schools share. Meaning our students only get Art instruction once every six weeks! Thus, a couple of Mom’s approached me and asked if I would be willing teach Art lessons after school for their daughters who are craving more! I felt honored and elated and accepted on the spot! We meet twice a month now and I usually select a Master Artist, create a handout and some art terms and then we either practice techniques or work on a project that ties into his/her style. It’s so fulfilling and I’m learning a ton! The group is small and manageable too. It includes my two daughters and three others. I have four kids but once they are all in school I may take steps to get certified or just continue on my own. Not sure yet! I mostly wanted to express my gratitude for all the resources and experiences you share through your website. I am beyond excited to follow your new podcast! I know the information will be invaluable. Oh and before I go, I’m hoping to sign up for your Workshop in Santa Barbara! I grew up in San Diego and we’ll already be down there visiting family so it may work out perfectly. Stephanie, Your story is so inspiring! I love your creative journey. You are the perfect example of how to keep moving forward doing the things you love. You just never know where they lead. I would love to meet you in SB. This workshop is going to be a lovely experience for everyone. Not just learning, but creating, sharing and making friends. Hope to see you! Thank you for sharing your podcast. It was inspiring to know that you too had difficult times. I want to know about how you decide what to do with kids at different level. What directions you give beforehand? What do you ask them to bring on the first day? How many hours classes do you generally take? If it is not a problem then could you share one planning session with us? Thanks for everything you already did. Excellent topic! I’ll add this to the topics I plan to do for the podcast. Stayed tuned! I just listened to your first podcast and enjoyed it! I liked when you said to use teachers as guides to students behavior and to take ownership of mistakes. I also agree about trying out projects beforehand and tying them into your own unique style. I enjoyed the first podcast very much. I have been teaching art for 12 years. My degree is in music education and I teach both music and art along with some dance and drama. I taught music for 16 years prior to inheriting the art classes. 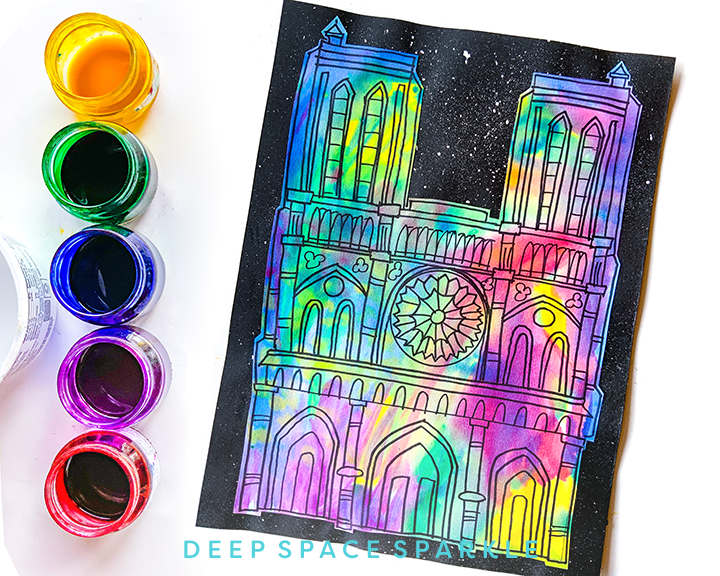 I have been a fan of Deep Space Sparkle for several years and so thankful you have taken the time to share your knowledge. My principal is allowing me to use the podcasts as professional development. It is comforting to know that your tips are exactly what I would recommend. In fact, I’m going to suggest this podcast to one of our district’s first year teachers. 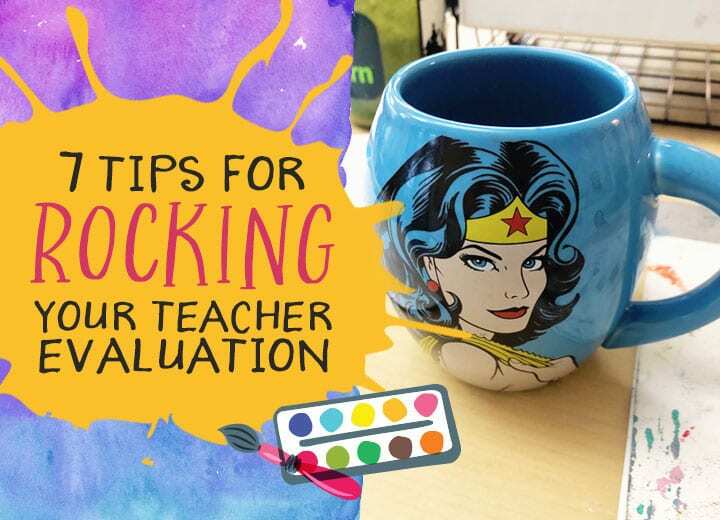 Most of the tips fit with teaching music, too. About the aprons, I so agree! I will also add, in my experience, shirts over clothing do not always work. I had a student in my early days of teaching art, who was dressed up for an award presentation. She put an old t-shirt over her nice clothes. She became so engrossed in her painting she leaned over into the paint which then soaked through the shirt! To this day, I tell the students to just be very careful and pay attention to what they are doing. When I used to use aprons or shirts, it seemed that the students were less careful. Truthfully, I seldom get paint on myself while painting. Cleaning up is usually when I end up with paint splatters.